Books are super-important and is perhaps the greatest invention of all time. Through books, one can develop mental aptitude and sagacity. 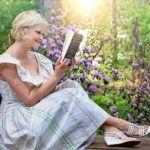 If you’ve followed this blog for a short while, you’d know that an emphasis on reading and developing oneself is one of the strategies through which we seek to project our community members on a path towards success (yeah, no kidding!). It is in light of this, I thought it prudent to put together 33 of the absolute best quotes I could find on the subject. Quotes which I hope will incite a nouveau zeal for reading in your personal life. Before we delve into the quotes however, what is all this fuss about reading about? I’d let the words of Charlie ‘tremendous’ Jones provide a riposte. ‘You will be the same person in five years as you are today except for the people you meet and the books you read’. See why books are important? Okay, okay, can we skip past my yattering and straight to the quotes? You asked and here they are – – 33 of the most motivational quotes about reading and book. Enjoy! Can you think of any I excluded? Or, you wish to share one of yours? Be at ease to share them in the comment section. Thank you.